The US Mint packaged the 1990 mint set in a pale tan envelope with images of the five uncirculated coins and the two medals on the front and included ten uncirculated coins in two pliofilm sleeves inside. 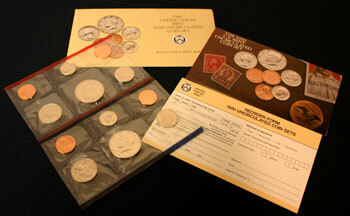 The mint set held five uncirculated coins from Denver and five coins from the Philadelphia mint. Each mint produced uncirculated versions of the Kennedy half dollar, Washington quarter, Roosevelt dime, Jefferson nickel and Lincoln penny coins for the 1990 annual mint set. Images of the five coins and the two tokens are clustered on the left side of the front of the mint set envelope and contrast with the pale tan color. 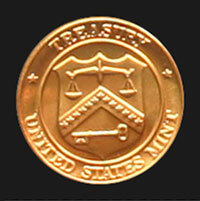 On the right, the mint set is identified by "The United States Mint 1990 Uncirculated Coin Set" over the Treasury Department's black and white seal. Below the seal is the added information, "With D And P Mint Marks." 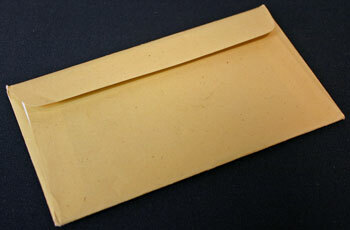 The back of the envelope shows a plain, pale tan surface with a straight closure at the top and no additional identifying marks or text. Inside the envelope, the 1990 mint set contents included the uncirculated coins in two pliofilm sleeves, an insert describing the coins and a reorder form on a separate card. The two pliofilm sleeves each include five coins and one mint token. On the left, the five coins from the Denver mint with its "D" token are in the red-edged pliofilm. The blue-edged pliofilm on the right holds the five coins from the Philadelphia mint with their corresponding token. 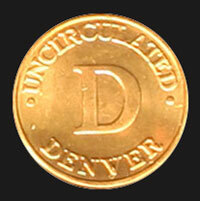 In the red-edged pliofilm, the obverse of the mint token for Denver shows "Uncirculated" and "Denver" around the rim with "D" in the middle. 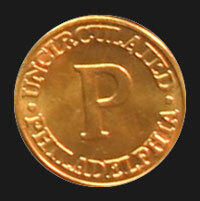 Similarly, the mint token for the Philadelphia uncirculated coins shows "Uncirculated" and "Philadelphia" with "P" in the middle in the blue-edged pliofilm. Each pliofilm in the mint set contains six sealed compartments to keep the coins and mint tokens protected from each other. The compartments' size allow the coins to rotate freely. Through the back side of the pliofilm sleeves, the reverse images on the coins and tokens can be seen through the clear protective film. The front of the insert in the 1990 mint set shows the obverse images of the five coins and two tokens along with other collectibles — stamps, a sports card and a political button — on a wood-grained background. 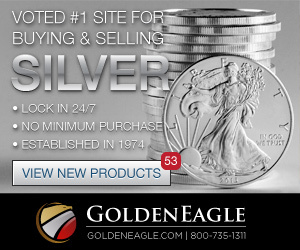 In the upper left, the insert is titled, "The 1990 U.S. Mint Uncirculated Coin Set." 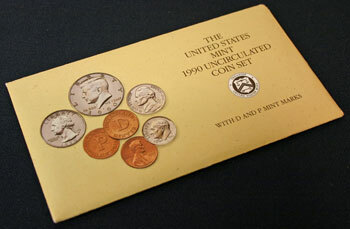 The US Mint used more pictures of the coins and collectibles inside the insert in the 1990 mint set. 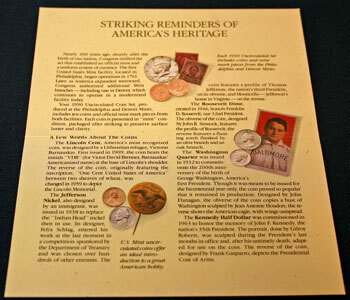 The commentary in the insert provides historical information about the mint and about each of the five uncirculated coins included in the mint set. The back of the folded insert titled "Specifications — 1990 U.S. Mint Uncirculated Coin Set" identifies the artists, the size, the metals and the weight of the five uncirculated coins in the mint set. 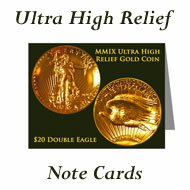 The opposite side of the card advises how to complete the order form and where to send the form along with payment. Larger images of the 1990 mint set insert show the contents of the insert and the coin specifications with more detail. The new dollar commemorating the late President Eisenhower's 100th birthday will be released on Tuesday, January 16, at the Gettysburg National Military Park. Representative Bill Goodling who was the original sponsor of the coin's legislation said, "The coin was minted to honor Dwight D. Eisenhower, a great president, an outstanding general and, in his retirement years, a cherished member of our community." The US Military Academy Mint will strike the uncirculated Eisenhower centennial coins which seems fitting as the late general and President graduated from the Military Academy. The uncirculated coins will bear the "W" mint mark and will initially sell at $23 through the pre-issue date of February 23. 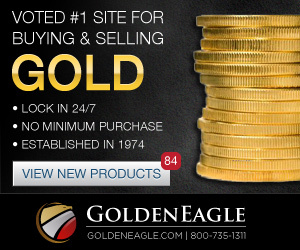 Afterwards, the proof and uncirculated coins can be purchased individually or as part of the 1990 Prestige Set at participating banks and retail locations. 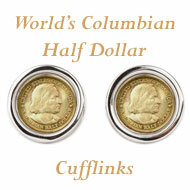 People in Congress propose a new dollar coin for circulation that would include an image honoring Christopher Columbus. But, after the Susan B. Anthony dollar, the US Mint is skeptical of the new coin. 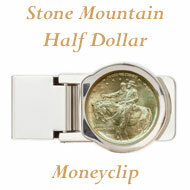 The arguments for the new dollar coins are very similar to those for the Anthony dollar ten years ago. 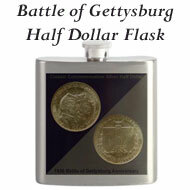 Over 400 million of the Anthony dollars reside in vaults. 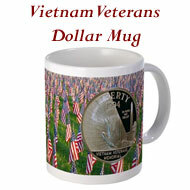 People will not readily accept a dollar coin unless the paper dollar no longer exists. 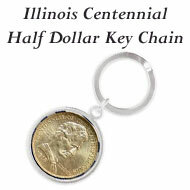 "Counting die varieties, mint marks, collector editions and general circulation strikes, a numismatist needs 32 different Ike dollars to have a complete collection." 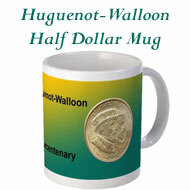 That describes the first Eisenhower dollar that was minted for circulation during 1971 through 1978. The new Eisenhower dollar is a commemorative issue authorized by Congress to celebrate the 100th anniversary of the late President's birth. 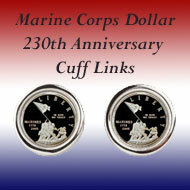 The proof versions will be minted in Philadelphia and the uncirculated coins in West Point. Frank Gasparro, the man who made more money than any man in history, was honored last week at the Samuel S. Fleisher Art Memorial where he once studied and where he taught sculpture for 35 years. 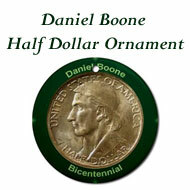 Ironically, he received the school's first Founder's Award medal, which he designed. To numismatists, he is well known for the Lincoln Memorial on the penny, the John F. Kennedy half dollar, the Susan B. Anthony dollar, the Eisenhower dollar and coins for Cuba and the Philippines. The Senate gave final approval for the US Mint to strike commemorative coins next year to finance a face lift for the Mount Rushmore carving. Extreme temperatures in South Dakota have caused cracks across the sculpted faces with the worst across George Washington's face. 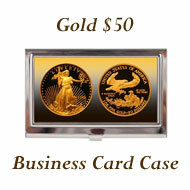 The Mint is authorized to produce 500,000 $5 gold coins, 2,500,000 silver dollars and 2,500,000 cupronickel half dollar coins. 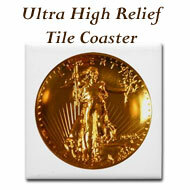 Surcharges of $35, $7 and $1 on the coins, respectively, will contribute to the repairs. Before the error was discovered, 3,555 of the 1990 proof sets were struck that contain a penny without the "S" mint mark. Already, collectors are paying over 100 times the issue price of $11 to obtain these error sets. One dealer predicted the sets would be worth $10,000 within ten years. The 1990 Mint Set Year included news of several commemorative coins including the Eisenhower commemorative silver dollar, the Columbus Quincentenary commemorative coins and the Mount Rushmore commemorative coins.